Ofcom has announced its plans for the forthcoming 4G spectrum auction in the UK following another consultation. It has pledged to make sure that at least four operators are able to offer decent 4G services to ensure competition, while also looking at ways to provide mobile data to areas currently not serviced due to geographical constraints. 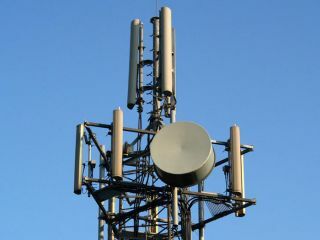 4G networks will offer much-enhanced data speeds and bandwidth once deployed and, thanks to the current switching off of analogue TV signals, there's now a whole heap of spectrum at the 800MHz band that Ofcom is planning to auction off to mobile operators at the end of 2012. With the Government pledging £150m to improve data coverage in the UK to offer broadband speeds to remote villages, Ofcom believes it can use this to entice at least one mobile operator to cover at least 98% of the population, with the auction carrying a condition that each bidder must offer at least 95% UK coverage too. Ofcom also mentioned the 2.6GHz band of spectrum that can be used for 4G - this higher frequency has a higher bandwidth but much shorter reach, so Ofcom believes that this will be ideal for creating local area hotspots, such as for hospitals or student campuses. Ofcom Chief Executive, Ed Richards, said: "This is a crucial step in preparing for the most significant spectrum release in the UK for many years. The proposals published today will influence the provision of services to consumers for the next decade and beyond. "The UK benefits from being one of the most competitive mobile phone markets in Europe. This means that consumers pay less for mobile communications services and have the choice to shop around for packages that suit them best. "As the UK enters a new generation of mobile communications, Ofcom's objective is to promote effective competition and to stimulate both investment and innovation. "In addition we are proposing a significant enhancement of mobile broadband, extending 4G coverage beyond levels of existing 2G coverage – helping to serve many areas of the UK that have traditionally been underserved by network coverage."